He attended Purdue University where he earned a B.S. in Financial Counseling and Planning. 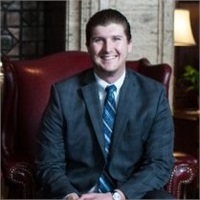 Max is a CERTIFIED FINANCIAL PLANNER™ with his Series 7 and 66 licensed and currently holds his life, health, and disability licenses in various states. Max has found his passion in working with millennials and physicians. What drives him is providing education to his clients to help them recognize and avoid potential financial mistakes. Max resides downtown Indianapolis with his fiancée, Kate.